a fresh twist on classic Scandinavian middle century design, with soft, rounded edges and compact sizes that are perfect for those who want easy-going style that fits any space. 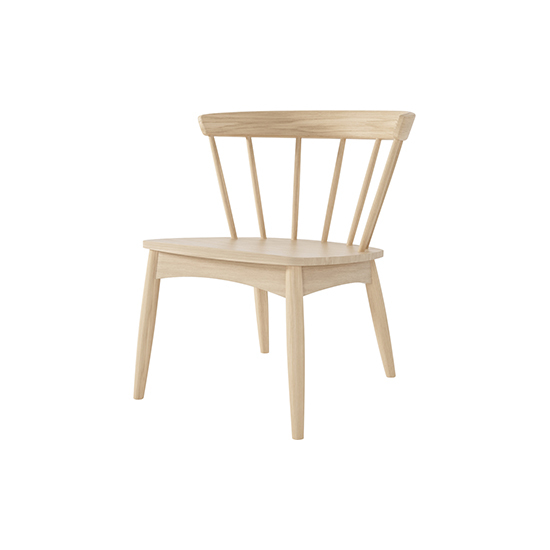 with the light, creamy hues of sustainable, solid European oak wood, you can take it easy in this wide, spacious easy chair with a curved back that gives plenty of space to stretch out and relax. with the dark hues of solid, sustainable, American black walnut wood, you can take it easy in this wide, spacious easy chair with a curved back that gives plenty of space to stretch out and relax. twist easy chair was added to your cart!